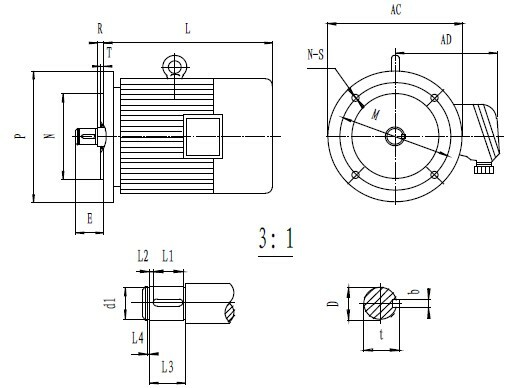 YEJ Series 3-Phase Frequency Conversion and Variable Speed Asynchronous Motor with Brake, and YDEJ Series 3-Phase Frequency Conversion and Variable Speed Asynchronous Motor with Brake are the variation products of the Y series 3-phase asynchronous motor with the advantages of compact in size, reliable AC brake, accurate position and wide range of adjustable braking torque. It is suitable for rapidly stopping applications used in the various purposes, such as hoisting machines, conveying machines, metallurgical equipments, and chemical industrial equipments. 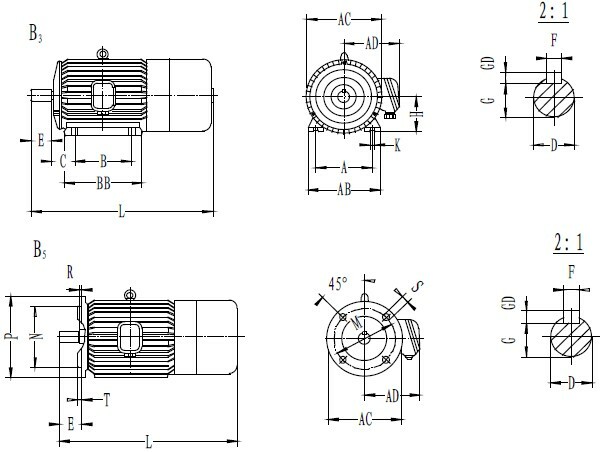 The YEJ series and YDEJ series motors are respectively composed of Y series and YD series motors combined with AC brakes. The mounting dimension, power rating and rotating speed of them are as same as those of corresponding Y series and YD series motors. They meet IEC standard and have the remarkable crossing-over and uniform features with same kind of products manufactured both in China as well as from overseas. 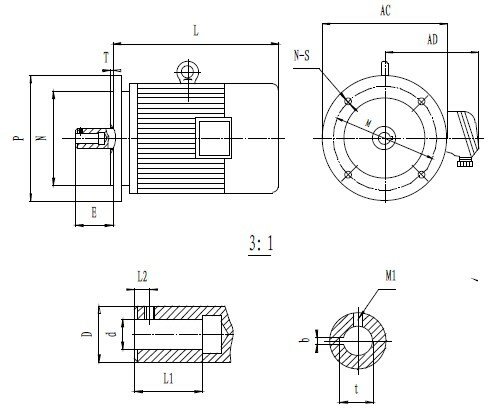 Above series motors are available for used in the direct connection between the motor and the gearbox. Please refer to tables below for details.